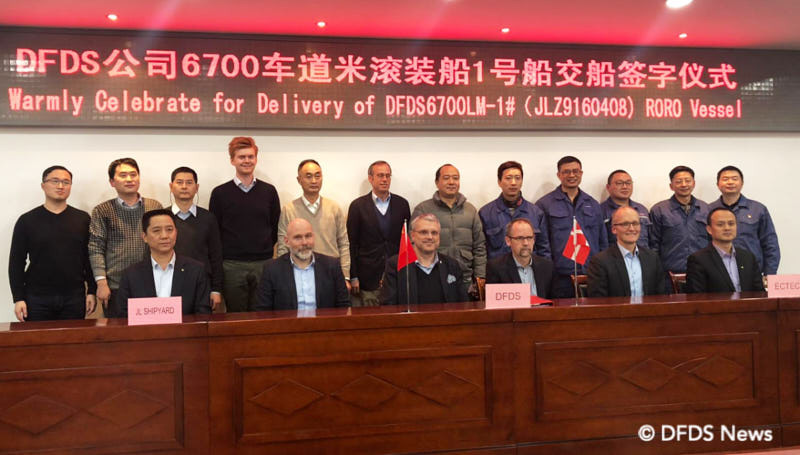 On 31 January Henrik Tidblad, Director of Fleet Management DFDS, concluded that the necessary documents had been exchanged and that the Jinling yard had safely received payment. This means the first of six 6,700 lane metre ferries is soon ready to be deployed on the Turkey-Trieste route. DFDS still has to announce her official name. The entry of the first vessel in service will most probably create reshuffles on other routes.